Are Sliding Patio Doors For You? In our last post, we discussed some of the benefits and drawbacks of using French doors in the design of your new home or remodel. They provide a classic, traditional look and allow you to move large objects in and out of your home. However, space considerations and furniture placement become major factors since most doors swing in. 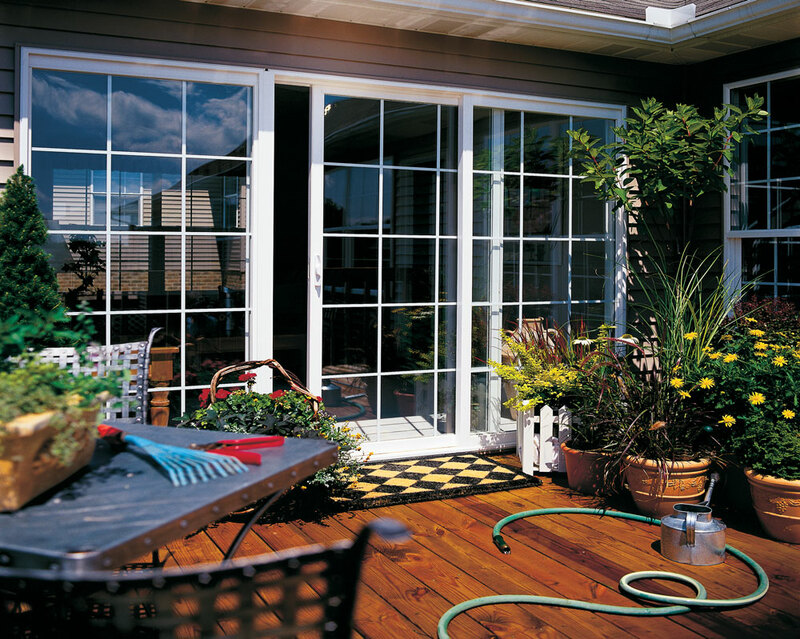 This month, let’s look at sliding patio doors and some of their design considerations. Usable space may be the most important element in choosing a sliding patio door instead of a hinged door. Sliding patio doors are great for small or narrow rooms where there isn’t much space around them. They will still allow all the light to come in but without the headache of carefully determining furniture placement prior to installation. Most designers consider sliding patio doors to have a more contemporary look with their simple, narrow lines. Screens may seem like a minor consideration but sliding patio doors really shine over the hinged doors in this area. While screens for French doors are available, they have more moving parts and can be complicated to operate. If you don’t like the year-round look of your sliding screen, simply remove it and store it in the garage for the winter. Re-install it when the weather warms up to keep the bugs away and let in the cool summer breezes. The most difficult decision regarding sliding patio doors may be deciding which way you want it to slide. You’ll need to consider traffic flow through your house and basic furniture placement. Design options include frame material, locking features, and glass. Frames are available in vinyl, fiberglass, and wood (with aluminum cladding on the exterior). Since sliding doors are usually on the back of your house, make sure the locking mechanism is solid. And, as always, be sure to get the latest in energy efficient insulated glass. National Window Safety Week: Are Your Windows Safe? Are French doors for you?